So you are interested in the family tree of the Haberling family . First let me tell you some facts. Haberlings are spreat all over the world, but all bearers of the name are related. As we know the name Haberling is unique. One branch of our ancestors can be traced back to 1550. That is more than 450 years ago. At this time europe was ruled by a multitude of kings and other sovereigns. 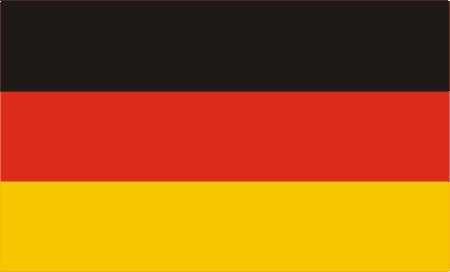 There was no thought of Germany as an united country. Shortly befor (1517) Martin Luther has nailed his 95 Theses to the door of the mainchurch of Wittenberg. In 1618 the Thirty Years War started, nearly 70 Years after the birth of our oldest proven ancestor. This information was collected by Mr. Robert Haberling over a long period of years. Please send new informations and corrections directly to him. Ingo Haberling is responsible for the creation and maintenance of this site. Please send wishes and suggestions for improvement directly to him. On every page you can see a memeber of the Haberling family with his/her spouse.. When available pictures are also presented. The names of the parents are above the central persons, and those of the children are below, linked with their own page.. The siblings of the male person can be reached with the blue arrows; and those of the female persons with the pink one (left = younger, right = older). Information about living members of the Haberling family is published only at their express personal wish.. This site will be updated and expanded in accordeance with time available to me and new information I receive.